Appearances can be deceiving. Take the subjects of this story, for example. On first blush who would be less likely to be positioned to lead a revival of Omaha’s once kickin’ but long dormant live jazz scene than a couple of Jewish kids from suburbia? What’s more, you probably don’t think of privilged white boys as being promising proteges of contemporary black jazz greats. But in each instance the Potash Twins, 19-year-old identical twin brothers from Omaha, are overturning assumptions, Their making waves in the world of jazz not just in their hometown but in places like New York City and New Orleans. They count among their mentors Wynton Marsalis, Jon Faddis and Jonathan Batiste. It’s anybody’s gues what they’ll end up doing in jazz but they’re riding a wave that at least for now shows no sign of slowing. I have a feeling I’ll be writing about them for a long time. Identical twin brothers from Jewish suburbia, Ezra and Adeev Potash, are Omaha’s unlikely gift to the jazz world. Their soul and funk-infused horn playing has everyone from Big Sam Williams to Wynton Marsalis singing their praises. Ezra plays trombone, tuba and sousaphone. Adeev plays trumpet. The Westside High School grads recorded their 2012 debut album, “Twintuition,” in Omaha as a New York City calling card. The 19-year-olds are elite music students there. They’ve parlayed a gift for schmooze and chutzpah into private lessons and close personal relationships with jazz greats, notably trumpet master Marsalis. “When we go to concerts we bring our instruments with us and for us that’s like a baseball fan bringing your glove to a game hoping to catch a foul ball. But for us the foul ball is the lesson, and we’ve caught a couple foul balls,” says Adeev. They also have a knack for nabbing national attention. 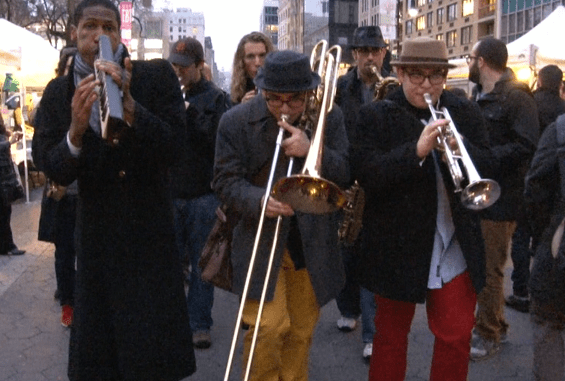 In March they performed at South by Southwest in Austin, Texas, where they led an impromptu New Orleans-style Second Line down Sixth Street that National Public Radio featured. A film crew following them for a proposed Reality TV series was there and at the May Berkshire Hathaway shareholders meeting the brothers performed at. Currently back in Omaha on summer break they’re performing June 8 with their band The Potash Twins at LoessFest on the same bill as Don Vattie, a New Orleans legend Marsalis introduced them to. The free fest is at River’s Edge Park on the Bluffs end of the pedestrian bridge. 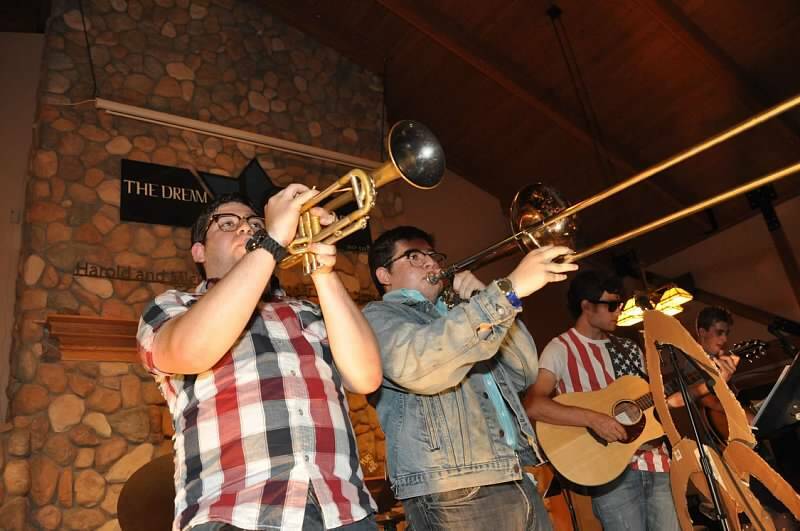 The brothers’ group consists of players from the Westside jazz band they anchored along with other hometown friends. Following their 4 p.m. appearance Preservation Hall Jazz Band takes the stage at 7:30. Ezra, who describes himself and Adeev as “musicians, entertainers and personalities,” says they realize how surreal a ride they’re on. It’s why they’re already writing their memoir. Like meeting jazz heavyweight Jonathan Batiste on the streets of New York and being invited to a Harlem church gig he was playing. They went to dinner with him and that led to playing with him at the famed Dizzy’s Club, where Marsalis and Bobby McFerrin were their rooting section. All that in their first week in the city. Ezra and Adeev have since performed several times with Batiste. “We can’t believe the way our lives have turned out. We were never that serious about being musicians until we met Wynton in 2008. The next thing we know we’re playing with all these people and invited to all these things, living in New York City,” says Ezra. Their superstar mentor, Marsalis, opens doors for the twins to hang out and jam with major artists. Indeed, the brothers may have never emerged as promising jazz newcomers if not for Marsalis, who took them under his wing in a series of backstage encounters that changed the way they thought about music. That first meeting in the green room of the Lied Performing Arts Center in Lincoln, Neb. turned into an extended private lesson. The twins acknowledge their nonchalant attitude about music turned around once Marsalis entered their lives. “We started practicing a lot more,” says Adeev. After a Marsalis concert in Minneapolis the brothers attended Marsalis offered to help with their college admissions applications. They’re not entirely sure why he’s taken such an interest other than the fact “he knew we were eager,” says Ezra. “He gets it that we understand basically what he wants us to do. “We think this is something jazz musicians have – a willingness to welcome eager younger musicians. It’s a jazz family,” says Adeev. The twins attribute their rapid progress to hard work and good instruction more than prodigious talent. “I wouldn’t say we have natural ability. I just think we’ve had really good music education,” says Adeev. Then came the lessons from jazz greats. Today, Adeev studies under Dizzy Gillespie protege Jon Faddis and Ezrra with veteran sideman Dave Taylor. “We take what they give us and we kind of run with it,” says Adeev. They know they have much to learn. The brothers are not only tight with Marsalis but with his Jazz at Lincoln Center Orchestra, whom they first met in Omaha in 2009 “after worshiping their musicianship for a year,” says Adeev. “We knew all of them by name. We had studied this band. 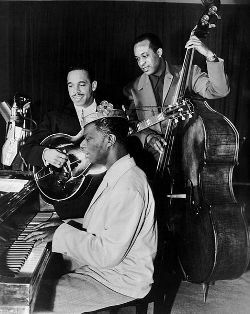 It’s like people collect baseball cards, well we memorize everything about certain jazz musicians,” says Ezra. “We got such a connection with them the first time and we got like really good one-on-one advice from top New York musicians. The twins are determined to get horn players respect across genres. They aspire being the horn section of a famous band. They also want to revive Omaha’s live jazz scene. 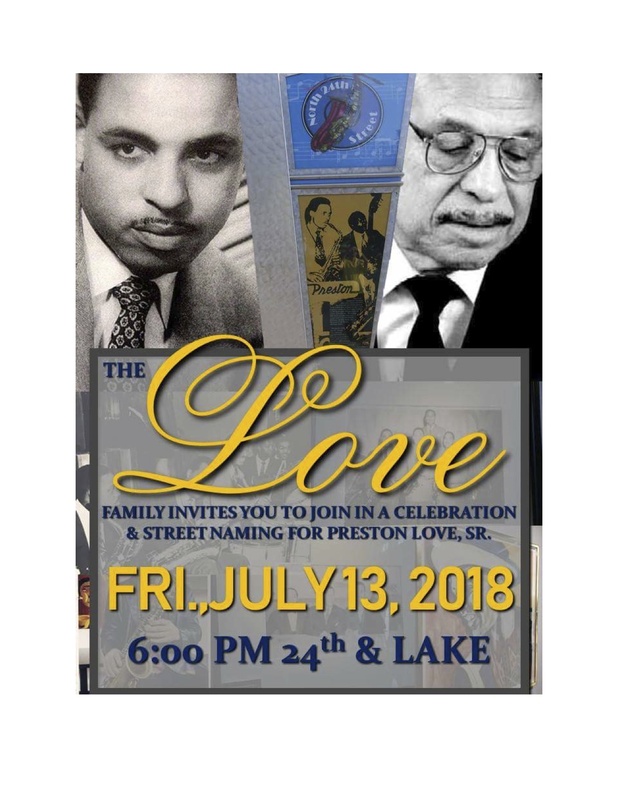 They recently played at Loves Jazz and Arts Center, where they learned about its namesake, local music legend Preston Love Sr. and North Omaha’s jazz hub legacy. “We want to give back to Omaha specifically. We want to bring in these big artists we know. We really want to develop a New York City-Neb. 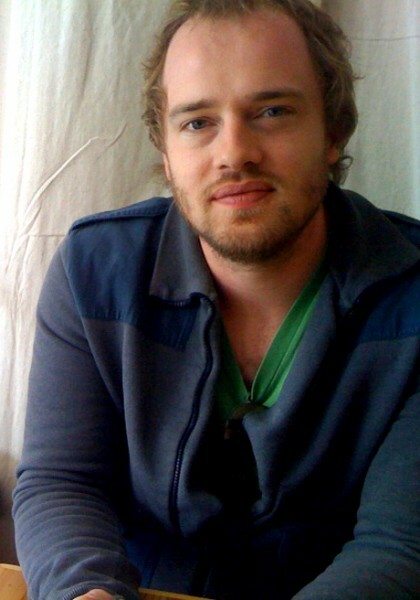 jazz connection,” says Ezra, who confirmed that he and Adeev are LJAC’s new artistic directors. He’s aware how strange it is he and Adeev are “the jazz representatives of Neb. in New York.” He’a aware too how ironic it would be if North O’s jazz scene is resurrected through the efforts of two white Jewish boys from the ‘burbs. But they’ve found a shared interest with Loves Jazz to recapture a music heritage. Meanwhile, the bros have written original tunes for their second album, which they’ll record in New York this fall. Follow the Potash Twins at http://www.facebook.com/PotashTwins. Whether you’re a Omaha resident who lives here year-round or part of the year, a native returning home, or a visitor here for the first or tenth time, it doesn’t hurt to be reminded of some places to see and things to do in the metro. I prepared the following list for the Omaha World-Herald a few years ago. At least one of the attractions is now defunct (Project Omaha) and if I were making a new list today I would include some additional sites (including the House of Loom and TD Ameritrade Park). The point is, it’s by no means a comprehensive list but more of a sampler of, as the headline says, some of the obvious and not so obvious sites to check out. 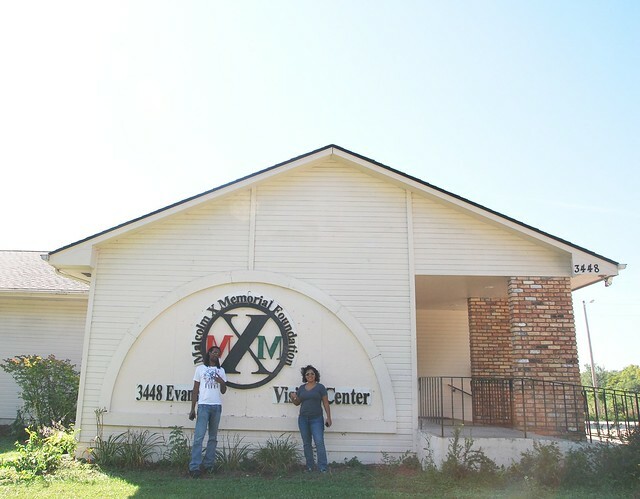 Steep yourself in Omaha’s rich African-American heritage through photographs, videos and other art/historical materials at this gem of a cultural center in the heart of the black community. 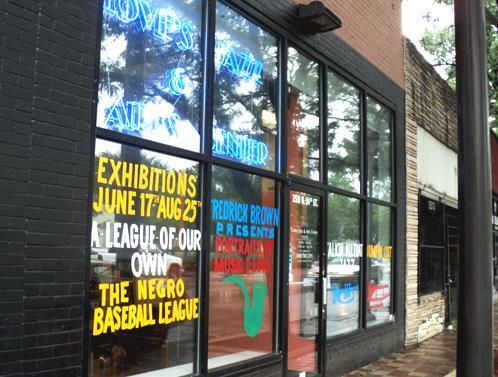 See displays on the music and civil rights legacy of black Omaha. Catch lectures, panel discussions, poetry slams, live music jams, film screenings and other educational-entertainment programs. Reminiscent of a visit to grandma’s attic, this one-of-a-kind museum in a public school setting uses artifacts along with student-made videos, books, games and other resources to explore Omaha history, including the stockyards. The collection’s size and depth will impress. Note the Brandeis department store Xmas window mockup. Call 557-3640 for a visit or a guided tour of historic city sites. This National Register of Historic Places and Omaha Landmark designee was home to the famed Dreamland Ballroom, hosting scores of jazz/blues performing legends and overflow dance crowds. Now the offices for the Omaha Economic Development Corp., the restored Georgian Revival building features a large photographic display of those halcyon Dreamland nights of Basie, Ellington and more. A North O shrine. Photographs and archival documents depict Jewish life in Omaha from the turn of the last century through today. Special collections highlight the Jewish American experience of local merchants, war veterans and figures of national prominence, including Henry Monsky and Rose Blumkin. Print/video interviews reveal an Omaha Jewish community that was once much larger but that remains vibrant. The history of Omaha’s Catholic archdiocese and its cornerstone edifice, St. Cecilia Cathedral, is revealed in artifacts, photos and interpretive panels. The life and work of Thomas Kimball, architect of the Spanish Renaissance worship site, is well-chronicled. The center, located just east of the church in midtown, presents temporary art exhibits, lectures, receptions and other programs. Free admission. National touring art exhibits complement a Latino Presence in Omaha section with photographs-narratives drawn from local community founders and elders. Listen to these pioneers’ oral history interviews in Spanish or English. Learn how the current Latino immigrant wave echoes earlier migrations in transforming Omaha. The El Museo Latino building was the former Polish Home and the original South High. The former Union Station is a beautifully appointed, restored Art Deco railroad terminal now home to interactive Omaha history displays and major touring shows. The Smithsonian affiliate and National Register of Historic Places site exhibits train cars and engines and a model layout of downtown’s U.P. yards. Enjoy lectures, discussions and films. The Durham also holds the Bostwick-Frohart collection’s 8 X 10 view camera photos of early 20th century Omaha. Omaha’s ethnic enclaves celebrate their own and the Czech community is no different. 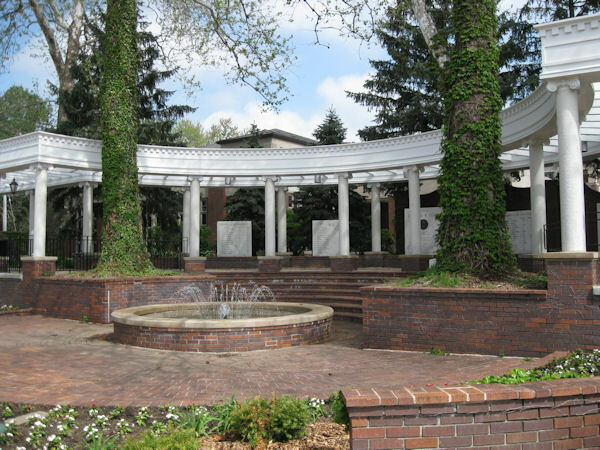 Aside from the classic gymnastics program that’s part of any Sokol facility, this site maintains a museum featuring photographs and other memorabilia related to the nearby Brown Park neighborhood as well as local Sokol history, Czech traditions and leading Omaha Czechs. Tours by appointment at 731-1065. Built on a 5.5 acre estate this ornate Gold Coast home of George and Sarah Joslyn reflects the grandeur of early Omaha. The John McDonald-designed 35-room Scottish Baronial castle, now being restored in all its splendor, features exquisite mosaic tiles, in-laid woodwork, a ballroom and a conservatory. A splendid backdrop for teas, receptions and dinners, the mansion’s an Omaha Landmark and National Register of Historic Places site. For tours and rentals, call 595-2199. Sarah Joslyn’s magnificent memorial to her entrepreneur husband, George, opened in 1931. Designed by John and Alan McDonald, with a 1994 Norman Foster addition, the stunning Art Deco temple showcases a comprehensive permanent collection. Enjoy exhibits, lectures, concerts, films and tours. The new sculpture garden provides a major new attraction. The pavilion atrium is a popular gathering spot. Discover a vast repository of history pertaining to the city of Omaha and to Douglas County through archived newspapers, clipping files, maps, plats, atlases, documents, diaries, letters, books, artifacts, photographs and audio visual materials. Located in Building 11A on the historic MCC Fort Omaha campus. Call 451-1013 to schedule research visits. The restored 1879 Italianate quarters for Indian Wars campaigner Gen. George Crook includes Victorian era decorative arts, costumes and furnishings. Classes and a reference collection on the history/appreciation of antiques are available. Tea aficionado Mona Christensen hosts proper teas. Call 455-9990 to arrange tours or private functions. Located in Building 11B on the historic MCC Fort Omaha campus. It’s a bakery/pizzeria not a gallery but walls of family and neighborhood photos depict Omaha’s Little Italy section through the years, including Santa Lucia festivities, Mason School graduation classes and local Italian-American sports icons. Orsi’s is an anchor business in the trendy nouveau residential urban community emerging in this historic district south of the Old Market. Omaha’s oldest all-grades public school dates back to 1859 but the stately National Register of Historic Places building on Capitol Hill was completed in four phases from 1900 to 1912. John Latenser’s Renaissance Revival design included an open courtyard. 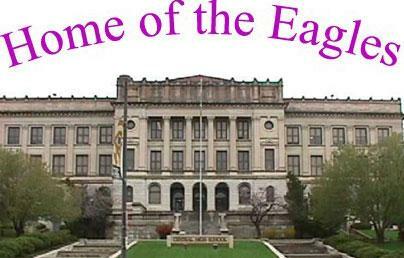 This school known for academic rigor boasts many distinguished grads. Exterior markers note the school-site’s rich history. Call 557-3300 to arrange viewing interior displays. Since 1938 the Omaha Star newspaper has carried the collective voice of the local African American community in calling for equal rights and decrying bias. A beacon of hope on North 24th Street, the Star was a mission for its late founder and publisher, Mildred Brown. The apartment she kept in back has been preserved just as she left it. The National Register of Historic Places building is undergoing restoration. The story of this fabled American institution is told in audio, video, artifact displays. Learn how Rev. Edward Flanagan’s original home for boys grew into a childcare leader at satellite campuses across the nation. See how the school’s band, choir and athletic teams helped put Boys Town on the map. 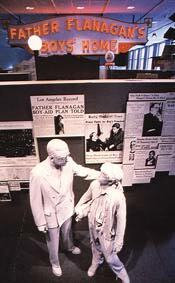 View the Oscar Spencer Tracy won portraying Flanagan in the 1938 movie, Boys Town. Marvel at the many notables who’ve visited the Omaha campus. Omaha history can be found in hundreds of books and videos as well as in decades-worth of local newspapers on microfilm. Inquire about Omaha history talks. The Omaha Community Playhouse represents a significant portion of local live theater history. The original site at 40th and Davenport is where legends Henry Fonda and Dorothy McGuire got their starts on stage. At the height of their stardom they returned for benefit performances of The Country Girl that raised money to construct the current Playhouse, which contains a collage of famed players who’ve trod the boards there. For nearly a century the Omaha Stockyards and Big Four meatpacking plants ruled the roost. The hub for the booming livestock market was the 11-story Livestock Exchange Building, an example of Romanesque and Northern Italian Renaissance Revival design. The stockyards are gone but the National Register of Historic Places structure lives on as an apartment-office site. The grand ballroom still in use today. Historical monuments outside the building describe its lively past. Markers and descriptive panels commemorate the birthsite of the 38th President of the United States, Gerald R. Ford, who was born Leslie King on July 14, 1913 in a Victorian style home at 3202 Woolworth Avenue in Omaha. The surrounding gardens in honor of former First Lady Betty Ford make the spot a popular choice for weddings, receptions and other events. In addition to dedicated laboratories for examining, evaluating and conserving historical and art materials, the facility features a small exhibition on President Gerald R. Ford. The center’s state-of-the-art facilities include a microscopy laboratory and a digital imaging laboratory. There’s also a library of reference works on conservation and collections care. Until a permanent structure is built a wall of descriptive plaques honor Hall of Fame inductees, whose ranks rival that of any state athletic hall in the country. We’re talking history-makers in Bob Gibson, Bob Boozer, Gale Sayers, Ron Boone, Marlon Briscoe, Don Benning, Johnny Rodgers and many more. Looking at the names and achievements arrayed before you a story of staggering dimensions emerges. The struggle to build a brick-and-mortar memorial to the slain activist is symbolized by the stark 10 acres of land the Malcolm X Foundation has been trying to develop for decades at his birthsite. Only a simple sign marks the spot. Paving stones lead to nowhere. A fence encloses an empty lot. 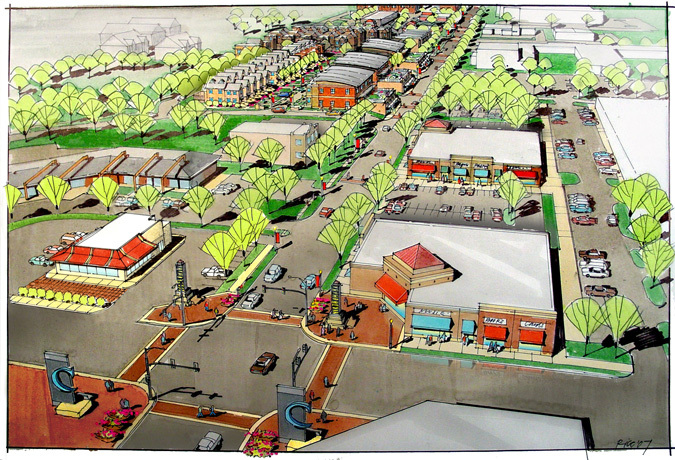 Dreams for a visitors center, museum and plaza remain deferred. A most forlorn National Register of Historic Places site. Omaha’s oldest cemetery was founded in 1858 and is the internment site for many early city leaders, their familiar names still adorning streets and structures today. Some notorious figures also lie there. Often referred to as Omaha’s pioneer burial ground, Prospect Hill remains an active cemetery as well as a historic site open for visitation daily. A state historical marker describes its rich heritage. Free admission. A heroic, tragic chapter of the Mormon Migration played out in what’s now north Omaha when thousands of Church of Jesus Christ of Latter-day Saints spent the winter of 1846-1847 in an encampment. 325 died there. An audio-visual display details the struggles encountered in reaching this Winter Quarters, the camps’s harsh conditions and the arduous journey to the Salt Lake Valley. View a pioneer cabin, pull a handcart and visit the Mormon Pioneer Cemetery. Free admission. Learn about the historic Corps of Discovery expedition led by famed explorers Lewis and Clark, including information about sites along the trail. A National Parks Service ranger can answer questions and help you plan a site trip. The Riverfront Books store offers an array of educational materials for sale that can enhance your experience on the trail. Artifacts, photos and interpretive panels chart the development of the transcontinental railroad and its role in helping pioneers settle the West. View displays about the heyday of passenger travel and innovations made by the nation’s largest railroad, Union Pacific, which is headquartered in Omaha. The museum’s housed in the Bluffs’ historic, newly restored Carnegie Library. This restored 1869 Victorian home was the residence of Civil War veteran and railroad builder Gen. Grenville M. Dodge, a military, political, financial wheel whose counsel was sought by presidents. The 14-room, 3-story mansion commands a terrace view of the Missouri Valley. Note the exquisite woodwork and “modern” conveniences unusual for the period. The home is used for a variety of receptions and other events. 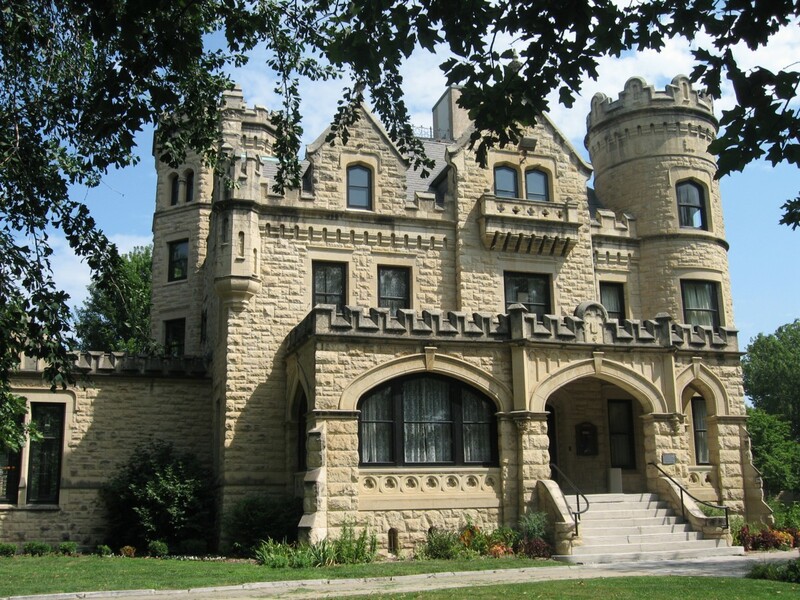 Discover the history of four historic western trails — Lewis & Clark, Oregon, Mormon and California — through exhibits, sculptures, photographs and films at this State Historical Society of Iowa center designed and built by the National Park Service and local partners. There’s a magazine published in Omaha called Revive! 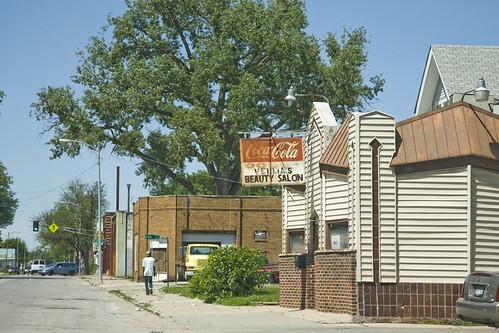 It’s put out by a couple, Willie and Yolanda Barney, as a very intentional positive framing of the best of what is now and what is to come in North Omaha, by which they and most folks here mean northeast Omaha, which is the traditional heart of the city’s African-American community. That heart has been hurting for decades due to disinvestment and crushing poverty and it’s only in the last few years and looking forward now that there’s come to be a concerted focus on finally revitalizing that area in a profound way. Progress is being made in some sectors but there’s a long way to go yet before a fundamental, sweeping change comes to fruition and all boats are lifted with the tide. 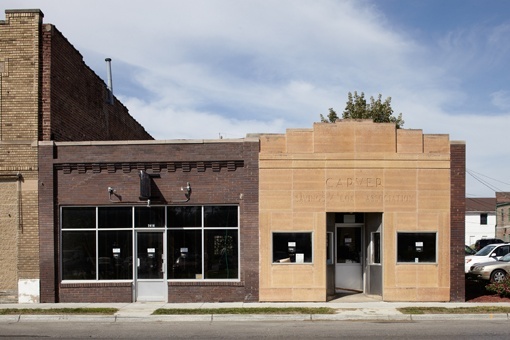 The following story is about the stirrings of change in a historic hub, North 24th Street, that long ago fell on hard times and is looked at today as a cornerstone for the planned rebirth. An arts-culture district is to arise in what was once the epicenter of a vibrant live music and entertainment scene with all the trimmings – dance halls, clubs, restaurants, stores, movie theaters, you name it. It isn’t much to look at or partake in yet, but it could very well be in short order. The potential is there. Some of the pieces are already in place. More are on the way. It’s my hope that in a decade’s time the rebirth will no longer be a fond desire or enticing plan but a reality. My story will soon be appearing in The Reader (www.thereader.com). There’s little else to see or do. Food options are mostly confined to the fast variety and dingy bars pass for nightclubs. Vacant tracts of land abound. The existing pivot points are the Loves Jazz & Arts Center, Union for Contemporary Art and Great Plains Black History Museum. An emerging player is the as yet unnamed fulfillment of the two-year long Theaster Gates Town Hall Project in the former Carver Savings & Loan Association building. The center, whose membership has risen from 8 to 300-plus in two years under Clark, is seeing more visitors to national traveling exhibits, including the current Selma to Montgomery. Special programs, from a gospel play-soul food buffet to a fashion show, draw well. Events like a recent Family Day and Arts-Culture Expo found new audiences. Its Jazz After Five series owns a loyal following. The idea is that as more stay-and-play venues open around the center and offer activities people will make a night of it by sampling the attractions, thereby dropping more traffic and dollars into a community starved for commerce. This summer The Union is planting communal gardens and erecting an elaborate gazebo, all part of finishing out its multiuse campus. McQueen saw the area’s potential synergy May 31-June 1. 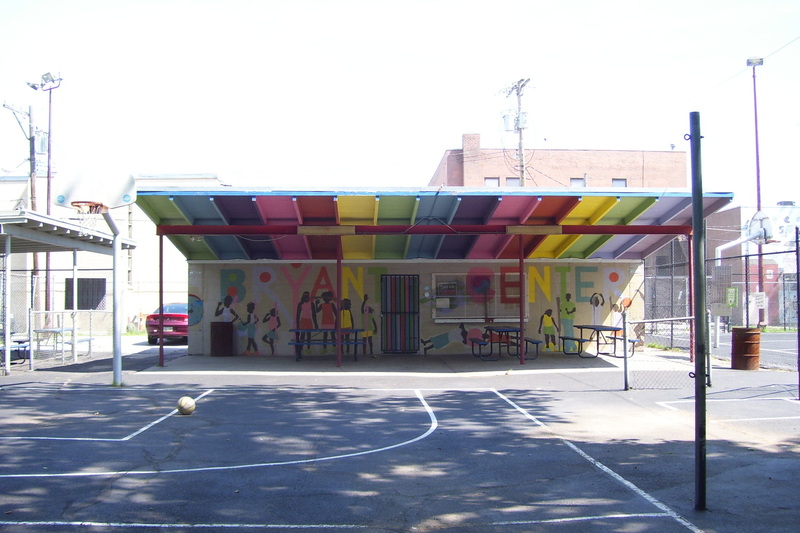 That’s when a Great Plains Theater Conference play staged in the Union parking lot, with the Burdette building’s west wall as painted backdrop, drew hundreds, including area residents and workers. The sounds of traffic whooshing by and kids playing hoops across the street added “perfect” ambience to the urban-set play The Crowd Youre in With. Conference producing artistic director Kevin Lawler says, “The arts are one of the most live giving, healing, growth enhancing, healthy activities for a community, and this is a part of the city that has not had enough energy from the arts. So I want to work with groups like the Union to help to change that.” A youth theater program is in the works. The best art is provocative in that it engages you to think outside your comfort zone and to consider new truths. That’s certainly the case with the work of Francoise Duresse, who makes you think about race and personal identity in semi-autobiographical series that explore the implications of skin color for herself as a dark-toned black woman in a world of lighter shades. I wrote this story a few years ago when an exhibition of her work ran at the Loves Jazz & Arts Center in Omaha. As any person of color will tell you, the politics of race brands racial minorities with stereotypes that serve to isolate, diminish and exclude them. In America perceptions of what it means to be black or to be a particular shade of black, for instance, carry the baggage of history and popular culture. Distortions abound. Media portrayals reinforce certain stereotypes. 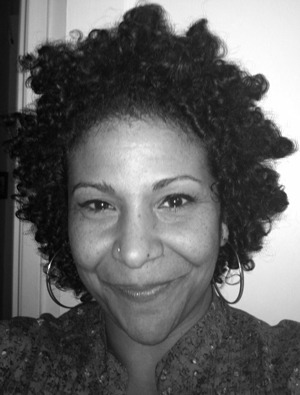 Artist and University of Colorado art instructor Francoise Duresse, a native Haitian who’s lived and worked all over the world, has navigated societies that use skin color as a basis for stratifying, classifying people in caste systems. Her experience of “differentness” and her search for “personal identity” as a stranger in strange lands is something she often explores in her art. She looks at how “colorism” has and still does act as a litmus test for inclusion-exclusion, acceptance-denial. That’s the case with her mixed media works on view now through July 24 at Loves Jazz & Arts Center. “Feeling separate” amid a majority population that doesn’t look like you is a powerful vantage point for any artist. Selections on display from two Duresse series, Queen Nappy, the Place from which I Come and The Paper Bag Test, examine the issue of black identity and image within the context of society, media, peers, heritage and ethnicity. As her work illustrates, what’s bound up in one’s blackness is a complex question. Implicit in her pieces is an acknowledgement that certain assumptions made about blacks and certain attributes ascribed to them are not just race specific but hue specific. Her proposition is that Eurocentric, whiteness models make light skin more acceptable than dark skin across the racial spectrum. These perceptions cut both ways, affecting not only how others see blacks but how blacks see themselves. Anecdotally, it’s well-known light-skinned people of color traditionally fare better than their dark-skinned counterparts when it comes to jobs, promotions, grades, appointments, memberships, invitations, customer service, et cetera. Duresse takes into account the burden of such realities. Her Paper Bag Test refers to a once prevalent and still “hush-hush” practice of allowing or denying entry to public places based on skin color. Persons lighter than a grocer’s brown paper bag, she notes, “pass,” while darker hued individuals “fail.” Her point is vestiges of this color coding extend to all kinds of situations or settings and remain fixed in people’s minds. It informs societal, cultural, institutional racism. An image of herself as a child and another as an adult literally adorn a string of paper bags, the portraits colored from lily white to jet black and all the gradations in between. Each time her face darkens it grows less distinct, a reference to how people of color are perceived and can become invisible before our eyes. The final adult portrait is abstracted beyond human recognition, into what appears a heavy garment — perhaps a comment on the weight of perception one‘s subjected to. Several Duresse works use motifs to comment on the minimalization, fragmentation and objectification that attend moving through life as a person of color. For example, she variously underlays and overlays a silhouette of her adult self or a painted image of her “audacious surrogate,” Queen Nappy, with minstrel, blaxploitation images culled from advertisements. In a series of these paintings her alter ego is ever more distorted and diminished by these intruding forces of myth and propaganda, until finally her portrait is utterly obscured. It’s a powerful rumination on the danger of losing one’s sense of self amid all the misinformation. In other pieces she repeats a Polaroid of herself as a little girl, the skin tone varying from nearly white to pitch black, with every variation in between. These images are juxtaposed with a large foreground portrait of sober womanhood. The contrast of youth’s innocence and idealism with the hard bitten lessons of adult life offers an indictment of the colorized socialization process. Some works echo each other. One presents a sea of diverse yet distinctly African-American faces. Another pictures the same faces, only now commingled, perhaps diffused through enculturation. 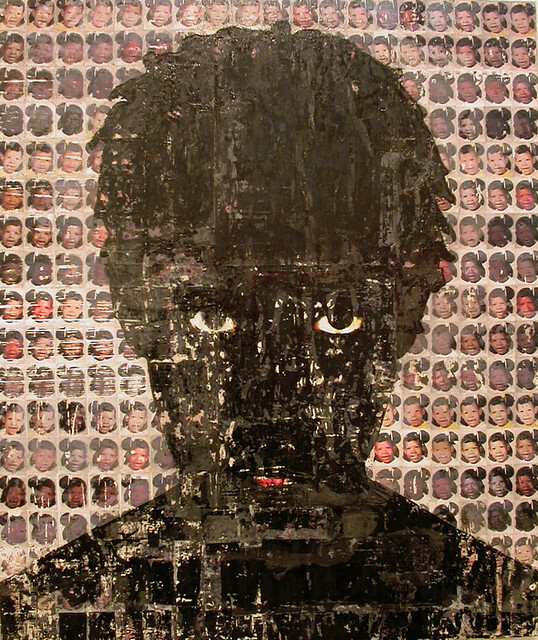 In another, a collage of these faces surround and underlay the portrait of an adult female — a comment perhaps on how a woman of color is an assemblage of many fragments, strains, features, hues. A stunning work entitled Blue Eyes pictures the artist as a fully bloomed woman — her face comprised of different hued images of herself as a girl, an evocation of how she embodies a lifetime of perceptions, influences, experiences.